With Mark Hughes and Roberto Di Matteo already having lost their grip on the managerial merry-go-round long before the start of the imminent ‘silly season’, it’s time to consider who might be next in line. Crucial festive fixtures and the January transfer window are looming large and both are huge factors for managers looking to keep their jobs. Santi Cazorla’s hat-trick on Monday night only confirmed Brian McDermott’s place at the front of the grid but here NMO looks at all the runners and riders. McDermott took over as bookies favourite to be next shown the door after his Reading side succumbed to fellow strugglers Southampton a few weeks ago. The stats for last season’s Championship Manager of the Year make grim reading and only serve as a stark reminder of how tough life can be in the top flight. The Royals have lost six on the bounce but perhaps most crucially three of those defeats have come against the teams around them, leaving McDermott’s side looking isolated from all but QPR. Only results can help the boss improve his chances. Unfortunately it’s Champions Manchester City up next. Boxing Day though sees the first of two home games against Swansea and then West Ham. At this point it looks like at least one win will be required to ensure McDermott escapes the axe before New Year. When Martin O’Neill arrived at Sunderland expectations were high. Fans in the Northeast felt, and probably rightly so, they were getting a manager who was capable of taking the club to the next level. Over a year now since the Northern Irishman took control and things have yet to turn out as planned. Sunderland have won only three times this season and the fact that O’Neill has been at the helm for some time makes the lack of progress even more difficult to take. There is no doubt Sunderland must improve and improve quickly if the former Villa and Celtic boss is to remain in charge. Plenty of money has been spent over the last 12 months and O’Neill will surely be making the case for further outlay but you get the feeling that unless the Black Cat’s form picks up then he may not be there to see it happen. The next fixture against fellow-strugglers Southampton is huge. He may have clinched a historic title for the Citizens last season but clearly the majority believe Mancini’s position to be precarious. Mega-rich City have unquestionably made progress in recent seasons but whether that rate of progress is fast enough to satisfy the owners that the Italian can get the best from his phenomenally expensive squad is unclear. The manager escaped the chop after City’s dismal exit from the Champions League. The silver lining for Mancini perhaps, is the failure even to qualify for the Europa League, allowing his charges to focus fully on retaining their domestic title. The fact that he remains currently is indication that it will be the Premiership showing that ultimately decides his fate. The recent derby loss to United only tightened the noose while the former Azzurri man continues to grapple with multiple issues such as the twin terrors of Tevez and Balotelli. Despite this Mancini will remain at the helm as long as City remain within striking distance of table topping United. Although only in charge for a matter of weeks, it is easy to see why Rafa is fairly short odds (10/1 with some bookmakers) to be gone as quickly as he arrived. Chelsea fans were less than hospitable in welcoming the former Liverpool boss to the Bridge and owner Roman Abramovich is certainly not one to hesitate in wielding the axe as Roberto Di Matteo would no doubt testify. Of course the odds are short because Benitez has only been officially confirmed as boss until the end of the season. One can’t help but think the appointment is perhaps merely a last experimental attempt by the owner to inject life into his £50m project within a project, the much discussed Fernando Torres. Benitez’s start has been poor and he missed an opportunity to bring back the feel-good factor that enveloped the club at the start of the campaign by failing to secure the World Club Cup. Torres though has at least bagged a few goals. Time will tell if Abramovich will allow his temporary manager to spend money in the transfer window. Despite all the questions raised by his appointment the Spaniard will surely at least see out the season barring any spectacular downturn in results for the European Champions. It’s almost unthinkable that Wenger should be considered at risk. The Frenchman these days seems constantly referred to as weary or beleaguered. Some bookies have him at 14/1 to be the next out of a job but the reality is that if his 16 year tenure is about to come to an end it will more likely be because the man himself has had enough. Recent weeks have seen the Gunners boss referred to as a dictator in the media and there have been rumours of a rift with his assistant Steve Bould. Surely it’s unlikely that an ultimately successful coach who has brought wonderful talents and a beautiful footballing ethos to the club could be sacked. There is no doubt though, that the current days are some of the darker ones Wenger has experienced during his reign. He continues to defy the odds and nurture young talent, maintaining the clubs Champions League status while repeatedly being forced to sell his star players. Arsenal must find some resilience in order for their form to improve. If they can close the gap on the top four then surely the media interest will subside and Wenger might find himself re-invigorated. It was always going to be a tall order to improve on last season’s campaign for the Toon. Many anticipated that Pardew’s over-performing squad would be thoroughly raided during the summer but that failed to materialise. Newcastle managed to keep all their main assets. Still though, this season has been much worse than predicted and the drain of continental football has had the classic effect on the Magpies’ league form. Given the scale of his previous success Pardew will be afforded time but if Newcastle are still languishing in 15th come say, February then he will no doubt find himself on thin ice indeed. Owner Mike Ashley has a fairly ruthless reputation when it comes to firing managers and you get the feeling that although Pardew impressed last year, eighth or ninth place would be the bare minimum required this time around. Ashley may permit some spending in January but with no obvious priority areas, the manager will merely be looking to add strength in depth for when his side resume European competition. This time last week, things were going alright for Brendan Rodgers. In between bouts of keeping his fingers crossed that Luis Suarez remained fit, the Northern Irishman must have taken time to reflect that Liverpool’s home form was solid and that if they could just pick up some more points on their travels and buy another striker then he would be onto a winner. Then Aston Villa, who until Saturday couldn’t score goals to save themselves, came to Anfield and helped themselves to three in front of a stunned kop. The good momentum gained in previous weeks vanished and the 39 year old’s side were left wallowing in 12th place. Most Liverpool fans are not expecting to be winning leagues right at the moment and probably not even considering Champions League football but Rodgers simply must do better. So far this season Suarez has carried the side and the need for another forward has been painfully clear. There are a few rays of light, the emergence of Raheem Sterling for example, the fact that Gerrard is currently injury free and that Rodgers has at least been partially successful in his attempts to forge an attractive attacking side. People will understand that his team remain a work in progress but if results don’t improve the club’s American owners may be left with little choice but to wield the axe. With Southampton hovering only just out of the drop zone the former goalkeeper is predictably considered one of the managers under threat. Thankfully for Adkins he has something some of his counterparts don’t; low club expectations. On the Saints first season back in the big time the supporters and the board will no doubt be satisfied if the 47 year old can ensure the club’s Premiership status is preserved. 17th place come May will be fine for Adkins and that’s where his side currently sit. The South coast outfit have shown encouraging form of late with three wins in five. If Adkins builds on this momentum and perhaps makes a couple of shrewd additions in January then he could still keep Southampton safe and keep his job in the process. In terms of the Premier League, Fulham are not really that big a club, therefore 13th position in the table should be perfectly acceptable. The problem for Martin Jol is that fans at Craven Cottage have seen their side exceed expectations in recent years and have become used to the idea of mixing it in the top half on the fringes of European football, and playing decent stuff in the process. At the moment the Dutchman is doing just enough to keep the wolves from his door as while they are having an unspectacular season by their recent standards, Fulham are in no immediate danger. The weekend’s defeat to QPR may have sounded a few alarm bells though and the Cottagers are not on a good run. Jol should be ok for now and could be allowed to add to his squad in January but he must find some consistency sooner rather than later. It was never going to be easy for AVB. The Portuguese arrived fresh from a doomed spell at London rivals Chelsea to a frosty reception from the Spurs faithful. This was always going to be somewhat of a transitional season for Tottenham and the fans begun it still smarting from the loss of former boss Harry Redknapp and midfield playmakers Modric and Van der Vaart. Villas-Boas as a young, foreign manager still has a long way to go to proving himself in the Premier League and a fairly shaky start did him no favours. A historic win at Old Trafford however, bought him some time and the form of both Gareth Bale and Jermaine Defoe have helped Spurs gradually ease themselves into the top four. Apart from somehow snatching defeat from the jaws of victory against Everton the results for AVB have been encouraging of late. With Arsenal stuttering and Liverpool floundering, the White Hart lane outfit currently look favourites for fourth spot. For the 35 year old former Porto boss this presents an opportunity to right the wrongs of his Chelsea spell. Unless his side slip out of top four contention his job looks secure. It’s interesting how one man’s disaster can be another man’s saving grace. Villa’s shock win at Anfield was a massive boost and has given Lambert a good deal of breathing space. The fact, however, that some bookmakers are offering odds of as good as 50/1 on the Glasgow born boss to be next to bite the bullet is bemusing to say the least. Especially with his Villa Park charges currently toiling only three points above the bottom three. Villa’s more solid form of late has admittedly seen the Scot’s chances improve but if his side are to climb the table he will need to address a problem that has plagued Villa since long before his own tenure. They simply don’t score enough goals. Before last weekend their grand total was 12. With Darren Bent out of favour, Benteke and Weimann promising but inexperienced and Agbonlahor frustratingly inconsistent Lambert will surely be knocking on Randy Lerner’s door about a new striker come January. Whether Lerner will trust the manager long enough for that to happen remains to be seen. Over the last few seasons teams coming into the Premier League from the Championship have been more successful in avoiding relegation in their first season. QPR, Norwich and Swansea all survived this season, whilst the likes of Stoke, West Brom and Wigan have now established themselves as top-flight teams. So what do the three teams that are joining this season need to do to survive? Reading are returning to the big time after relegation in 2008. There are many similarities though between this team and the one that finished eighth in their first season in the Premiership in 2006-2007. Just like that team there are no real big stars and Reading’s success comes from their solid shape, organisation and ability to counter attack. They have experience at the back in the shape of former Leeds man Ian Harte and Kaspars Gorkss, Exciting wingers in Jobi McAnuff and Jimmy Kebe and hardworking strikers in Jason Roberts and Noel Hunt. The one different factor which may aid Reading’s survival chances this time is the backing of wealthy Russian Anton Zingarevich who recently bought 51% of the club. Certainly Reading will need to spend and add some Premier League experience and a proven goal scorer at the top level to the solid base that they already have. The Saints last couple of seasons are very similar to that of Norwich City. From struggling in League One Nigel Adkins has secured back-to-back promotions to the Premier League just Like Paul Lambert did at Carrow Road. This has been achieved by having a prolific goal scorer at Football League level in Rickie Lambert just like Norwich has Grant Holt. Much like Reading their success in the Championship was built on a solid defensive unit marshalled by Jose Fonte and Jos Hooiveld with the experienced Kelvin Davis in goal. Dean Hammond provides a good base in front of the back four, which allows the likes of Lambert, Adam Lallana and Billy Sharp to concentrate on scoring goals. With their current squad Southampton have a good chance of survival but much like Reading some more Premier League experience and strength in depth is required to give them an even better chance. Everyone’s favourites to bounce straight back up did it the hard way after a 2-1 play-off final victory over Blackpool. They are a side that is already packed with Premiership and international experience with the likes of Winston Reid, Kevin Nolan, Mark Noble and Carlton Cole to name just a few. Despite scoring 81 goals last season ,which was the second highest in the division, a prolific striker is still needed as they created so many chances to win games which they drew in the Championship. 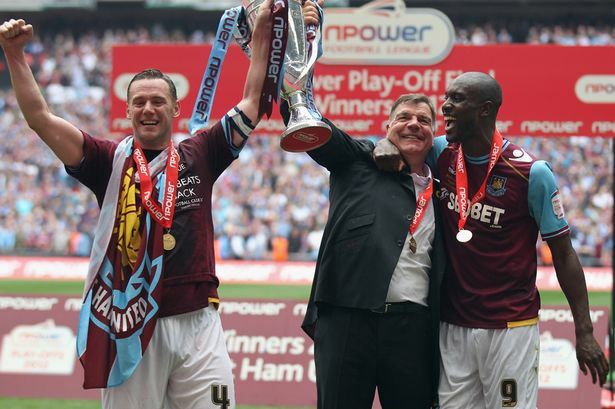 West Ham also have an advantage by having the experienced Sam Allardyce in charge. Allardyce has been there and done it with both Bolton and Blackburn, making Bolton a stable Premier League club and also taking Blackburn to a comfortable mid table position. Whilst many of the West Ham fans may not like the style of football that Allardyce plays, they cannot argue that it gets results and his meticulous planning may be what keeps West Ham afloat next season. All three teams will have to spend to survive, with greater strength in depth being an issue for all three to cope with the rigours and pace of the top division. With three managers though who are very tactically astute and some exciting forward players Reading, Southampton and West Ham all have a great chance of making an impact in the Premier League next season. Both personally and professionally, it has been a season that Billy Sharp will never forget. From the unimaginable tragedy of the loss of his two day old son Luey, to the lunacy of Doncaster Rovers’ season with agent Willie McKay’s bizarre revolving door transfer policy or Southampton’s glorious promotion to the Premier League, Sharp has experienced it all one way or another this term. Of course it is the deeply personal loss which will stick with the striker more than anything else, but Sharp revealed himself to be a man of huge dignity in the aftermath of his son’s death. His poignant celebration after his goal against Middlesbrough, just three days after Luey’s death will be something that will never be forgotten by those who witnessed it, and it went someway to restoring the public perception of the typical footballer. Sharp later took to Twitter to continue his dedication. It is Sharp’s personal tragedy that one would not like to dwell on too much, but as a professional footballer, his campaign has been a happy one – he will be a Premier League footballer next season. Sharp’s £1.8m January move from Doncaster to Southampton catapulted him from one end of the Championship to the other and it was a move that was surely welcomed after being part of a Donny side that accumulated a bunch of mercenaries on loan, who played merely to showcase themselves to other teams, with scant regard for Doncaster, or the sanctity of team sport. Super-agent Willie McKay oversaw every single transfer for the club and readily admitted he was only at Doncaster for the money as he explained his business model for Donny – a model that was sat uneasily alongside the very core values at the heart of the game. ‘In every squad there are two or three good players who aren’t getting a game for whatever reason. We will take them to Doncaster, put them in the shop window and sell them on with sell-on fees. In reality, it couldn’t be done and Doncaster were relegated, bottom of the Championship. Sharp escaped from the doomed experiment and when asked to sum up the season immediately after promotion, he spoke of being ‘frustrated, sad, happy’, there were no prizes for guessing where and when he experienced each emotion. Even in his finest hour, celebrating promotion, Sharp – who scored nine in 15 appearances for the Saints – was still quick to highlight the contribution of every one else. Billy Sharp is a man of true class, we wish him well in the 2012/2013 Premier League season.